Super long. Super straight. Super soft. The new Supersoft a long, straight distance ball that's incredibly soft, with an ultra-low compression core for fast ball speeds, and super low spin and low drag. Advanced core promotes low spin for longer, straighter flight on full shots. Super long. Super straight. Super soft. 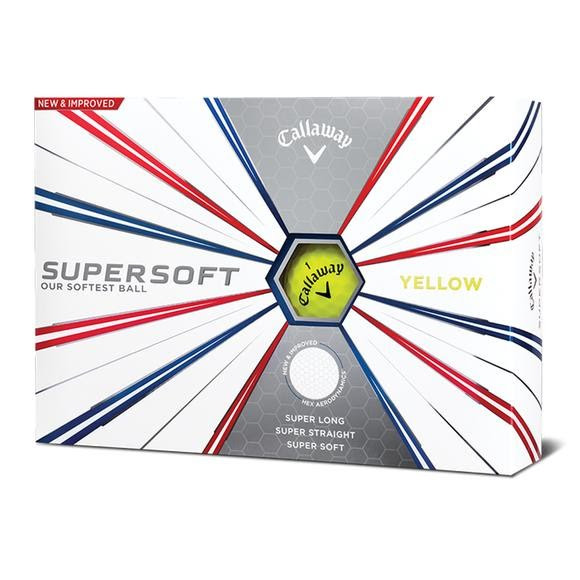 The new Supersoft a long, straight distance ball that&apos;s incredibly soft, with an ultra-low compression core for fast ball speeds, and super low spin and low drag. Advanced core promotes low spin for longer, straighter flight on full shots. New HEX Aerodynamics are optimized for a lower spin rate to reduce drag and enhance lift for increased carry, higher flight and longer distance. New softer Trionomer cover formulation with a low compression for better feel and greater shot-stopping spin.